Discover Our Exciting Summer Camp Opportunities in Newnan! At Discovery Point Summergrove, we know how much children in Newnan look forward to summer. Summer is a time to take a break from the normal school-day in order to discover new interests and meet new friends. Our summer camp allows children to stay in the learning state of mind while having a blast doing hands-on activities, participating in competitive challenges, and exploring new places. This year’s “Mighty Me!” summer camp program encourages campers to see the superhero within by developing their own superpowers, discovering more about the world around them, and learning important life lessons. Our program revolves around ten weekly themes taken from engaging pieces of children’s literature. This theme-based structure allows us to connect fun activities to crucial lessons, giving children the opportunity to see the real-life effects of teamwork, self-esteem, kindness, and more. Friendship. Our activities show the importance of kindness and respect when making new friends. Caring for animals. From animal rescue to caring for cuddly pets, we help kids understand how they can make a difference. Self-esteem. Campers are given the opportunity to develop their natural talents and enjoy being in the spotlight. Creativity. Creativity becomes a superpower as children use their imaginations to build their own creations. Sportsmanship. Campers learn the importance of teamwork and fair play in sports and games. Self-reliance. We help children see how being self-reliant and resourceful can be a fun adventure. Field trips that take campers on real-life adventures. Cooking projects that inspire creativity. Drama scenarios to encourage self-expression. 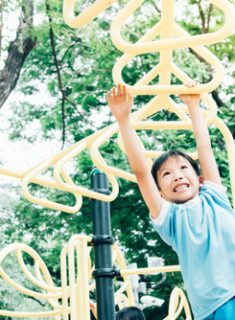 Physical challenges that get children moving. Puzzles and games to spark critical thinking. Talks from teachers and guest speakers to inspire and uplift. Educational science experiments that encourage hands-on participation. Learn more about our summer camp program for 2019 today. Call Discovery Point Summergrove at (770) 252-2166 or stop by our child care center in Newnan for details.